Questions? Comments? Write to Susan Ambrosino and the Herb Club Team. You'll get answers fast, often within minutes, always within one business day." "Our carefully chosen manufacturing partners are ranked in the top 1% in all of China," says Susan Ambrosino, who through her company, Susan Ambrosino's Herb Club. (MyHerbs.Net) has developed strong relationships with trusted, seasoned and professional Chinese suppliers dating back to 1994. "Each manufacturer is Good Manufacturing Practices (GMP) certified, and our teapill and tablet producers are certified for the manufacture of pharmaceuticals, not just traditional Chinese medicines. Among the top 50 of over 2,000 factories, our manufacturing partners are recognized leaders in the field. "Plum Flower® products were created to ensure that high-quality, safe and effective products would be available in America and Europe," Susan continues. 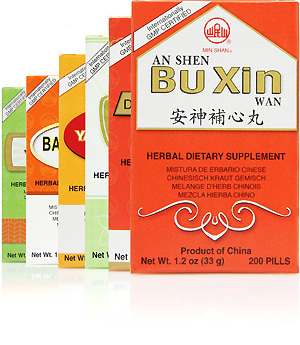 "Our wide range of products include species-authenticated herbs, high quality extracts and classical formulations, as well as modern, innovative Chinese medicinal products. We apply advanced quality standards to our products while maintaining the essence and wisdom of our ancient herbal traditions. 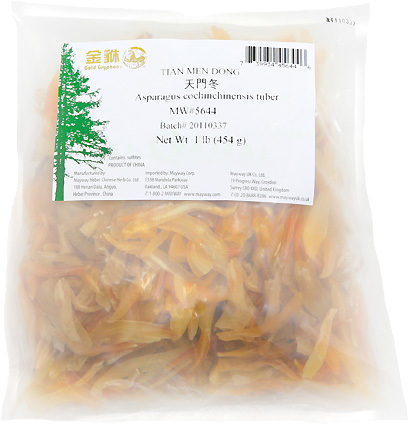 "We also distribute the original Lanzhou Foci, Min Shan® teapills in the U.S. Widely viewed as the highest quality teapills in China and the world, Min Shan® teapills have been produced at the Lanzhou Foci Pharmaceutical Co. Ltd, since 1929. They pioneered the manufacturing of extracted teapills, and their products are the genuine and original 'Lanzhou Pills'. Their domestic and internationally GMP certified factory and products have won numerous awards for quality and excellence. Each batch of Min Shan® teapills is tested for microbials, heavy metals, and a host of other important quality control parameters. "Gold Gryphon® herbs are carefully selected, traditionally processed, and quality control tested at Mayway Hebei," notes Susan. "Gold Gryphon® adheres to the same quality assurance standards as Plum Flower® Premier Quality Herbs, but may contain sulfur dioxide residues in excess of 10mg/kg. "Since 1890, Pan Gao Shou® liquid extracts and lozenges are from the Guangzhou Pangaoshou Pharmaceutical Co. Ltd., the premier manufacturer of herbal liquids, lozenges and syrups in China whose award-winning products have been used around the world. 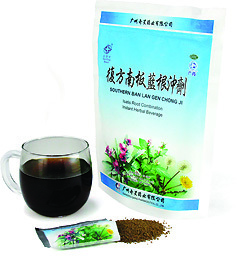 "Star Ring® infusions are among the most effective and best tasting granular teas from the renowned and acclaimed Guangzhou Qixing Pharmaceutical Co. Ltd."